3D Stereoscopic Playback The latest Piranha releases from Interactive Effects include steroscopic support with all of our core products. 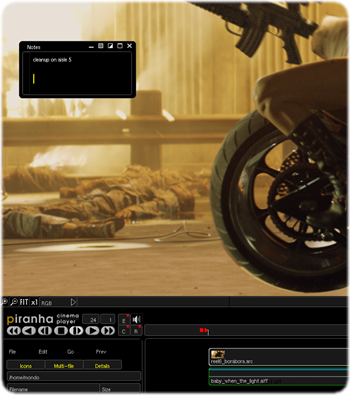 Piranha Cinema Players stereo option allows for full frame preview of a variety of 3D stereo content. Using Nvidia's powerful stereo hardware capabilities, Piranha is capable of displaying content on a variety of both passive and active stereo 3D display systems. Floating Point Playback Cinema Player supports play lists with varying resolution and bit depth content so you can easily mix and match 10bit film and 16 bit float data. Quicktime formats including motion jpeg with full audio playback and sync as well as industry standard image formats including OpenEXR, DPX, and Cineon. Piranha Cinema Players comprehensive command line options allow for a variety of facility integration possibilities. Support for image sync to video and multi-track audio, and build play lists and do scene to scene spot checks. 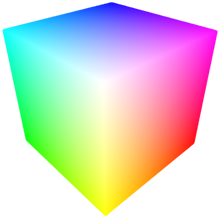 Player includes support for importing Final Cut Pro XML projects. Piranha Cinema Player supports 3D color lookup tables from both Kodak's "Display Manager" and Rising Sun Pictures' "Cinespace" color management solutions, giving you images on screen that match film and video output to the pixel. Powered by Nvidia Piranha Player is driven by the latest in Nvidia GPU technology.